In 2007, Doctor Joel Odulio officially opened Elias Dental. We have served Whitehorse for almost a decade now, offering quality dental services and products. We rely on innovate technologies to ensure our patients receive a well-rounded experience. longevity and reputation for friendly service allows us to personalize each of our patient’s visits. When you visit Elias Dental, you’ll always find a familiar face to greet you. A prairie girl at heart, MarciJo grew up in Saskatchewan, the youngest of six. She moved to Vancouver, BC in 1989 and in 1999 completed her Certified Dental Assisting certificate from UFV. After working several years as a dental assistant for a dental practice contracted to Federal Penitentiaries, she left to grow her family. In 2007 it was time to venture back to the snow when MarciJo’s husband was transferred for work with Environment Canada to Whitehorse, Yukon. When her youngest started kindergarten it was time to re-enter the work force. In 2009 MarciJo joined Elias Dental. She is now the friendly voice you hear when you call our practice. She loves this position; her previous dental training helps her guide you when you have questions and concerns. Crystal was born and raised in Edmonton, Alberta where she attended the U of A and graduated with her Dental Hygiene Diploma in 1997. 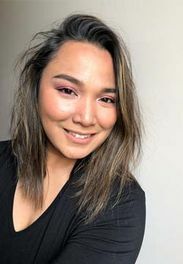 She worked in a family dentistry practice in south Edmonton until the pull of the open spaces and outdoorsy lifestyle the Yukon offered prompted a move to Whitehorse in 2009. Crystal joined the team at Elias Dental in Fa ll of 2012,after staying at home caring for her young family for a few years. 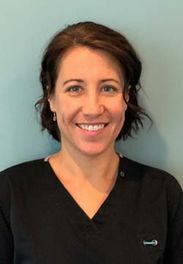 Her priority is making her patients feel comfortable and relaxed during their hygiene treatment and endeavors to get to know each of her patients and adjust treatment to their individual needs. Knowing the significant impact that improving oral hygiene has on overall health is what keeps Crystal passionate about what she does. 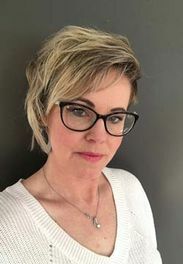 Crystal loves travelling and has made numerous trips to Europe and tropical destinations as well as extensive road trips through western Canada and United States. At home she loves camping, hiking, and skiing with her family and has recently taken up mountain biking. 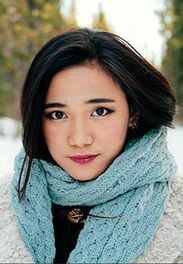 Hannah Sunico was born and raised in Manila, Philippines and she is the second child in a family of four children. Hannah and her sisters lost both their parents at a young age, so their family helped them migrate to Canada. She moved to Canada with her husband and daughter in 2013. Hannah joined Elias Dental in 2014, with minimal experience she adapted very well and is now confident member of our team and excellent in training new staff. Hannah grew up surrounded by talented people. Her parents were professional dancers and that’s where she got her love for dancing. She enjoys camping with her friends and family and also playing volleyball. Her passion is photography and can be seen capturing every moment she has with her 2 adorable kids. And if she has spare time, she likes to play around with makeup. Isaiah Sarah was born and raised in the Philippines but immigrated to the Yukon on January 25th 2012. She graduated from Vanier Catholic Secondary School in 2014. Isaiah Sarah started working as a Dental Assistant on August 28th 2017. She was trained by her sister Hannah, and has been working hard since day one. Isaiah looks forward to assisting patients and giving them a pleasant visit daily. Outside of work, Isaiah is a worship leader at Bethany Church, where she also assists in Sunday school for the kids, and in the Friday Youth Services. Isaiah loves to play with her niece and nephew, and watch K-drama on her free time. To top it all off, she also does YouTube on the side and posts faith and lifestyle related videos.